Monica Maschak - mmaschak@shawmedia.com Sheila Sagear spars with other members of Marian Central's fencing club during a practice on Monday, December 17, 2012. The sport is not covered by the IHSA, meaning the students must self-support the program. 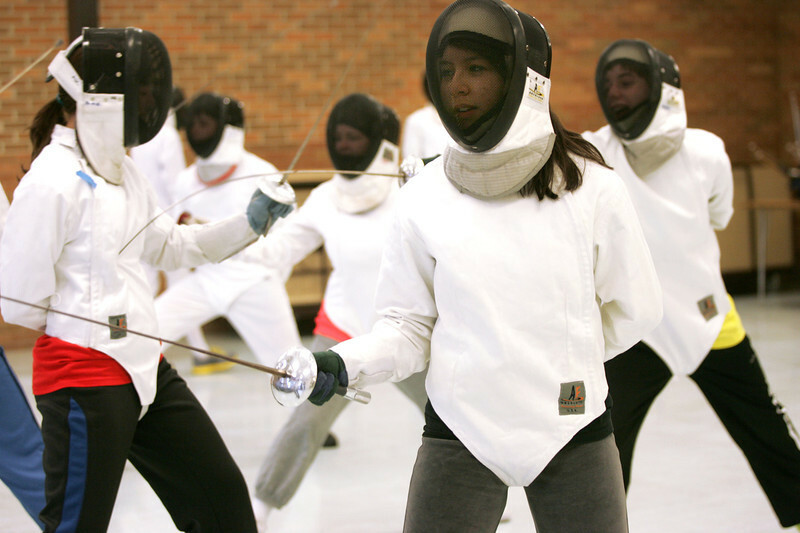 Marian Central, as well as other high schools in Illinois, Wisconsin and Indiana with a fencing club, all meet twice durng the season. 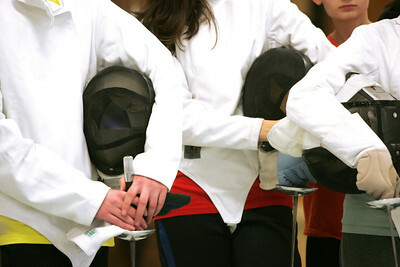 Monica Maschak - mmaschak@shawmedia.com Marian Central High School students hold their gear before their fencing practice on Monday, December 17, 2012. The club meets with other schools from Wisconsin and Indiana for competitions twice during the season. 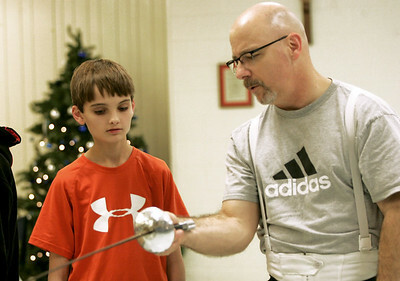 Monica Maschak - mmaschak@shawmedia.com Fencing Instructor Rick Blankenbaker (right) teaches the newest member of the sport, Ryan Rogers, how to properly hold a foil during practice at Marian Central High School on Monday, December 17, 2012. Sheila Sagear spars with other members of Marian Central's fencing club during a practice on Monday, December 17, 2012. The sport is not covered by the IHSA, meaning the students must self-support the program. Marian Central, as well as other high schools in Illinois, Wisconsin and Indiana with a fencing club, all meet twice durng the season.